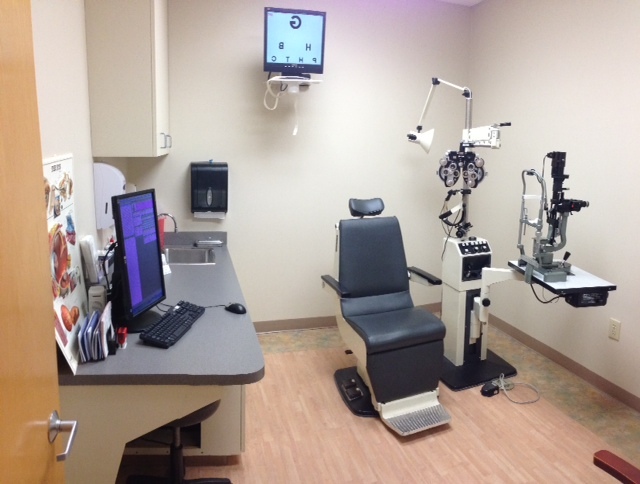 The monitor on the left is in portrait mode and displays our EMR. The monitor located behind the exam chair displays AcuityMaster Software. Video card with dual Video output, such as this card EVGA 512-P3-1310-LR GeForce 210. This card is very inexpesive and will easly support your needs. 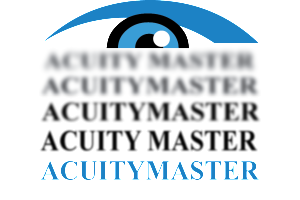 We use LCD/LED monitors to display the AcuityMaster program; these are readily available for $150.00 for a 20-24″ monitor with HDMI. If you would like to use the video fixation, you might look for a monitor that has built in speakers, or a 20-24″ 1080P with HDMI. When connected via HDMI this will permit the sound from the video (when activated) to be played from the monitor. In our office, we have our a single computer that we use to operate our EMR system and AcuityMaster. The computer can be placed anyware. The computer has two (2) video outputs: The first video output goes to an LCD screen that we use for our electronic medical record. 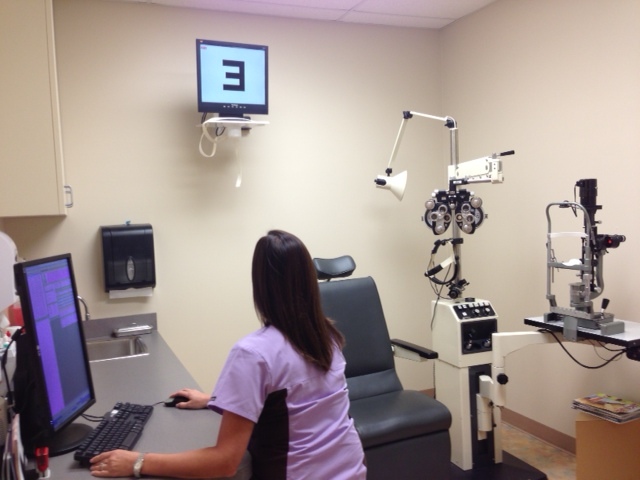 The second video output (HDMI preferred, or DVI, or VGA) runs between the computer and the LCD/LED/CRT monitor located behind the patient, but in the line of the site of the mirror, directly in front of the patient.